The Best Western Plus Miami Executive Airport Hotel & Suites puts you at the center of the major cosmopolitan suburb of Kendall - Miami, Florida. Enjoy plenty of Things to do in Kendall, Miami. Whatever your taste, there are plenty of attractions to visit and amazing sights to see. Located in the Greater Miami suburb of Kendall, Florida, in the Dadeland district, the Dadeland Mall is an enclosed shopping mall with iconic brands. This includes Florida's largest Macy's and Saks Fifth Avenue. Dadeland Mall is located just 9.9 miles from The Best Western Plus Kendall Airport Hotel & Suites. 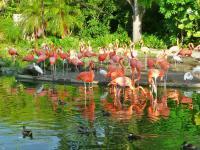 Visit the Zoological Garden known as Zoo Miami (formerly Miami Metro Zoo, Miami-Dade Zoological Park & Gardens.) 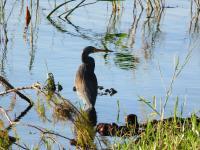 Guests love Miami's largest Zoo with over 280 acres of land with over 900 animals. Zoo Miami is located just 4.1 miles from The Best Western Plus Kendall Airport Hotel & Suites. Palms at Town & Country is a Mediterranean-themed, open-air shopping center with big-name sporting goods, toy and cloth shops. Guests love to do their shopping here or simply take in the electric atmosphere. Palms at Town & Country is located just 5.1 miles from The Best Western Plus Kendall Airport Hotel & Suites. Visiting family around Kendall? The Best Western Plus Miami Executive Airport Hotel & Suites puts you just 1.4 miles within the Three Lakes residential area of Miami. Enjoy time with friends and family at Three Lakes and surrounding suburbs while staying at our well-equipped hotel. 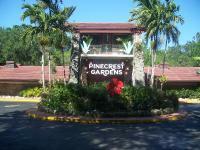 Pinecrest Gardens is a 20-acre park in Pinecrest, Florida and just 11.1 miles from the Best Western Plus Miami Executive Airport Hotel & Suites. Enjoy South Florida's culture and arts forward park. Visit the celebrity and model hotspot of Miami Beach, Florida. Many of our hotel guests like to enjoy a day trip (just under 30 miles) to Miami Beach. Some travel from Downtown to stay with us during their road trip through south Florida. Visit our Downtown Miami & Miami Beach page.